The cardboard box is a stealthy little trick that can help you sneak past guards and infiltrate villages. 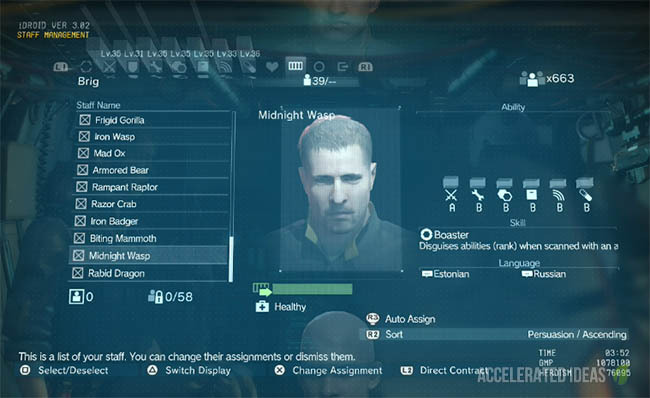 They are unlocked through the Research and Development (R&D) option which is where you develop new weapons or items from Mother Base. They are listed under the Items section of the R&D menu. Players can deploy the cardboard box at any time to remain hidden from the enemy, but caution should be used to prevent guards noticing a moving box! 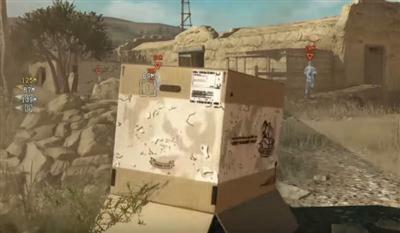 Once inside the box, players can choose to dive out of the box to cover, or pop out and shoot enemies by surprise. 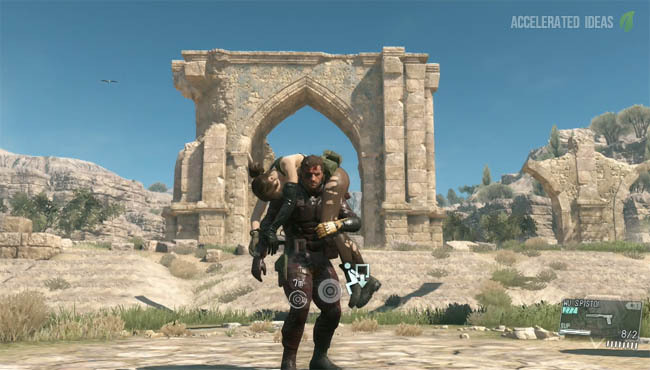 In either case, the Cardboard Box is a very useful stealth item that helps when sneaking into villages and heavily guarded areas. I decided to make use of the cardboard box and let me tell you this thing is awesome. I would never really use cardboard boxes in previous games but now let's just say that I know what I'll have my R&D unit dedicating most of their time to. The first thing that I did was get used to how cardboard boxes work in this game because that they work differently depending on whether you're sneaking, crouching or standing up. When crouching Snake will use the cardboard box like you've seen in past games except now we can do things like pop out of the top and shoot guards or dive out of the box by using square on the DualShock 4. Alternatively, when standing up Snake will switch the boxes orientation so the box is tall rather than wide. From here Snake can open the front flap to take aim with a gun, use CQC, or dive with the box. So what I did was instead of making my way down the big hill on foot, I chose to dive with the cardboard box on the slope and I literally slided all the way to the outskirts of the village; it was quick, stealthy, efficient, silly and badass in equal measures. There's a certain satisfaction in organically coming up with stuff like this "in the moment". As you can imagine the nifty box made a very good first impression so I decided to keep using it as I infiltrated the village and I made heavy use of having the ability to pop out of the box, tranquilizing as many enemies as I could along the way. At one point, a guard saw one of the tranquilized guards and as he went to check on him he got a glimpse of me walking around with my cardboard box. This shifted his attention my way so I popped back into the box remained perfectly still praying that he would just walk away. The guard took out his flashlight and probed for moment, and at one point he actually began approaching the box. I was beginning to get a little worried but halfway through he decided it wasn't worth the trouble and headed back to check on his friend instead. As soon as he turned around I popped out of the box and I shot a tranq dart in his skull - problem solved! The basic box (Grade 1) wil cost you 10,000 GMP and you must also have R&D Unit Level 1. Once you've unlocked (developed) the basic box you can upgrade it further to grade 2, 3 etc. They second upgrade will cost 70,000 GMP which is a sharp increase from the standard item.